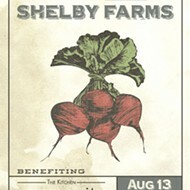 Now open: The Kitchen at Shelby Farms. The view from The Kitchen is as spectacular as the food. Like all good stories, this one starts with a dog. A black Lab to be exact, who, on his walk down Pearl Street in Boulder, Colorado, took it upon himself to jump into the lap of an innocent bystander. That chance encounter would not only be the start of a longtime friendship, but also a business partnership and a national effort for food advocacy. 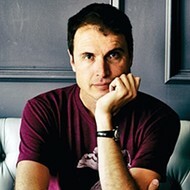 The lap belonged to chef Hugo Matheson, and the Lab to Kimbal Musk and Jen Lewin. The three (not sure if the Lab was invited) ended up having dinner that night, prepared by Matheson, and the idea of opening a neighborhood restaurant that builds community around eating healthy food was born. Since that day in 2002, the dynamic trio has opened eight restaurants in Boulder, Denver, Fort Collins, Chicago, and Glendale. This week, they added Memphis to the roster, with the opening of The Kitchen, a "world-class neighborhood restaurant," in the new FedEx Events Center in Shelby Farms Park. "Memphis picked me," Musk said at a recent fund-raiser for his nonprofit, The Kitchen Community. In addition to creating homey, community-focused, and locally sourced restaurants, Musk, Matheson, and Lewin have developed The Kitchen Community, a series of outdoor Learning Gardens built at schools around the country to encourage healthy eating in students by incorporating the gardens into the curriculum. It was the Learning Gardens that brought Musk to Memphis. 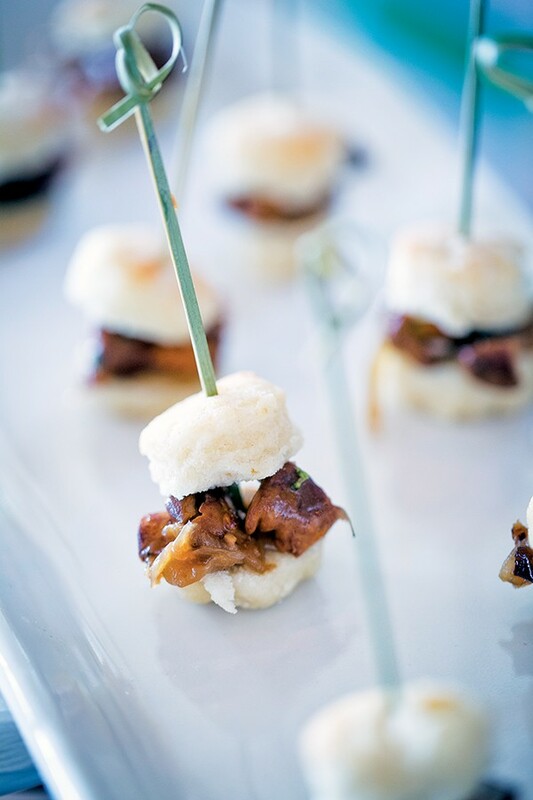 And, of course, more kismet meetings centered around food. "I was at a dinner, and I was sitting next to a great philanthropist from Memphis. I was telling him about our Learning Gardens, and he asked if I would consider building them in Memphis," says Musk, who has a culinary degree from NYC's French Culinary Institute. "I told him, 'Sure, if someone will fund it.' He said, 'What if I funded it?'" So far, Musk and company have built 65 Learning Gardens at Shelby County Schools, Jubilee Catholic Schools, and the Achievement School District, with three more approved so far. Their goal is to build 100 in Memphis. A percentage of proceeds from the restaurants, which include The Kitchen community bistros, Next Door community pubs, and the Boulder-only Upstairs cocktail lounge, fund the Learning Gardens, as do various fund-raisers throughout the year. But back to the restaurant. 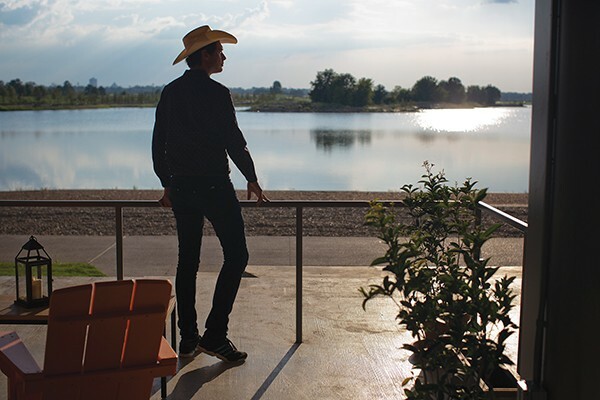 Kimbal Musk admires the beautiful view from The Kitchen. The 5,000-square-foot, 128-seat bistro keeps as its theme simple, clean, fresh, and local, preparing dishes like Sweet Corn Ravioli or Summer Melon & Country Ham using seasonal ingredients from local farmers, ranchers, and purveyors in and around Memphis. And while the signature dishes such as the hand-cut garlic fries, the tomato soup, the mussels, and the Sticky Toffee Pudding will most definitely knock your socks off, the view might just be the main attraction. 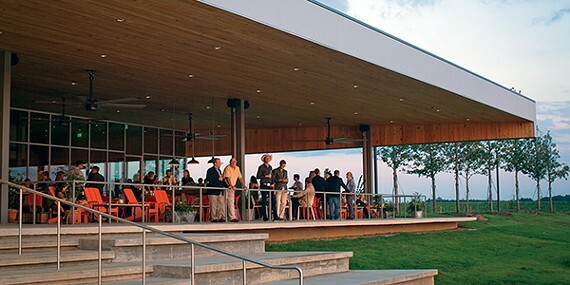 Situated in the brand-new, eco-friendly FedEx Events Center as part of the $70 million Heart of the Park reimagining project near completion in Shelby Farms, the restaurant is almost entirely flanked by windows. That's an important feature, because it sits on the southeast end of the newly expanded Patriot Lake, which recently grew from 52 acres to 80. Sunset views for days, people. There's also a covered patio with tables and couches and lounge chairs facing the lake with western views. With such competition, the interior needed some show stoppage, and it does not disappoint, with a blend of contemporary and rural styles that use reclaimed barn pendants, handmade wrought iron pipe sconces, and handcrafted dining tables made of reclaimed heart of pine. Diners who stop by on Monday nights can opt to eat at the community table in the private dining room, where they are seated with strangers, and, who knows, might come up with the next idea that will change the world. "My time in Memphis has been magical," Musk says. "Memphis is historically an amazing food town. I want to give people a place they can go and get food that nourishes their body while creating local relationships." The Kitchen is the first of three endeavors Musk and his business partners have planned for Memphis. 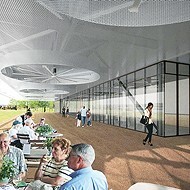 Next will be The Kitchenette, a grab-and-go cafe in the new Shelby Farms Visitors Center, and they will open one of their Next Door community pubs in the Crosstown Concourse building next year. The Kitchen is open for dinner only until after Labor Day. Then its hours are lunch Monday through Friday, 11 a.m. to 3 p.m., brunch Saturday and Sunday, 10 a.m. to 3 p.m., and dinner Sunday and Monday, 5 to 10 p.m., and Tuesday through Saturday, 5 to 10 p.m.
For more information, visit thekitchenbistros.com or call 729-9009. 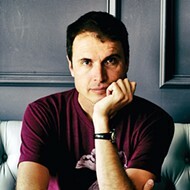 A Q&A with the Kitchen’s Kimbal Musk.